Well-made and SUPER affordable wool covers…look no further! EDIT These covers are no longer sold. 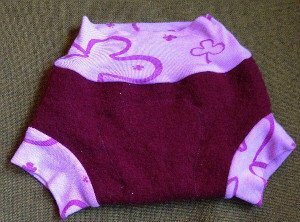 When people talk about bulletproof cloth diapers or what to use at night, wool often enters the conversation. And with good reason. I’ve professed my love for wool again and again. It really is amazing and is…not…hard…to…use or care for. I said that slowly because I mean it! Don’t be afraid of wool! Wool can sometimes be pricey and that can make it harder for people to afford. Not with these. HumBird Creations has wool covers that start at $12! That is an AMAZING price for wool. And the best part is that these are also really well made and SOFT! You can’t beat that. One super unique thing about HumBird is that she has BIG sizes. You can purchase all the way up to 8-10Y. That is awesome if you have older children that still need waterproof covers. HumBird Creations started in 2012 and was the born of a mother and daughter (Dawn) with a passion for creativity and sewing. I am going to take this right from her about page. I couldn’t have said it better and I love to support businesses like this! 1. We created the store HumBird because we believe there are people that care about: 2. The story behind the goods, in this case, the story of my mother and I. 3. Supporting a family directly as opposed to a wealthy conglomeration. 4. The recycling of materials. 5. Decreasing the world consumption of fossil fuels (all wool is made and produced here). 6. Buying items made with love by two people who enjoy making them. 7. Enjoying that every item made is one of a kind. No two items are 100% exactly the same because they are made by hand. 8. Quality (my mother and I stand behind our items; if there is a problem we will work towards a solution). I know I’m capitalizing a lot and throwing a lot of info at you. But I really love wool and these covers are something that I highly recommend you check out. These wool covers were received free of charge to be reviewed. All opinions expressed are honest and true. 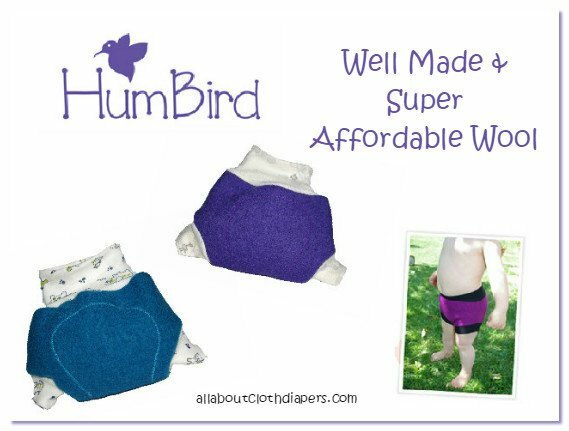 What size(s) did you receive from HumBird and how big was Trixie when she fit into it approx.? What was her weight and what would you say is her body shape? I received both the 0-3 months and the 2-6 months. Trixie was just about to be 3 months old and 11-12 lbs and she just fit into the 0-3 months size. she was able to wear that one a few times but it was definitely snug. For her shape i would say she’s got a long torso, a little belly and average thighs? As for the 2-6 month size, she has been wearing that one exclusively and she is now 4.5 months old and 13 lbs. What did you think of the quality of materials and workmanship? The covers are beautifully made and it is obvious that the workmanship is amazing. The wool of the body of the cover looks like its going to feel very rough but it doesn’t and the wool on the waist and leg bands is amazingly soft. In fact I didn’t even think it was wool, but in the email from Dawn at HumBird she says that the waist and leg bands are 100% wool knit. I was very impressed with how the cover was made overall. The deep red/maroon color is just lovely and the coordinating waist band it a nice touch. How well did they fit and did they hold everything in? I find that the fit is fantastic. They are much less bulky than other wool covers we have. The waist band comes up to belly button or above and the leg bands come down to just above the knee. There is plenty of room to grow. I think she will definitely wear this cover for the next few months. So far I have used this cover over Kissaluvs fitted, Thirsties fitted, or GroVia kiwi pie inside a Bummis or Thirsties cover or a Kawaii Goodnight Heavy Wetter stuffed with a prefold. Any of my combinations have fit nicely under the wool with room for more if I needed. There have only been two or three times were we had a leak and that was because Trixie had wiggled around in her sleep and moved the waist band to below the diaper underneath. Trixie is a pretty good wetter at night, her diapers are always completely soaked and even damp to the touch on the outside but this wool did an excellent job of keeping the sheets dry. How did they hold up after repeated washings? I think I have hand washed the cover about 2-3 times using Eucalan wool wash and the cover still looks brand new. The shape has not altered and there is no pilling or anything else. I will say that the wash water does turn pink but that doesn’t bother me and it has not bled onto any diapers or clothing. Would you recommend HumBird to a friend? I would definitely recommend Humbird. The covers are fantastic and they arrived very quickly. I will definitely be buying larger covers as Trixie outgrows this one. For more information on how to wash and use wool, please go here. It really is easy to care for. Most wool users say that they wish they had tried wool sooner. Wool Sale! 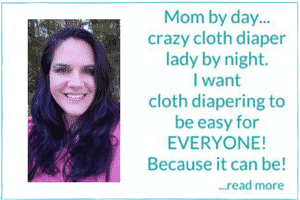 Soakers, longies and wraps…oh my! Why I do so many giveaways and a few tips on how to win! Green Mountain Diapers Flats and Workhorse Fitteds Really Work! Do they still have covers at that price? I couldn’t find anything even close to 12.00. I’ve been trying to find an affordable option for wool with no luck lately. She no longer sells these types of wool items. However a great place to check is https://www.hootandfluff.com/ They are also very affordable. Paypal is supposed to take you there after payment is completed. People often navigate away or close the page before that happens. Can you tell me what kind of device you ordered on (mobile, laptop, desktop)? Thanks! 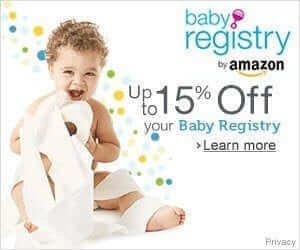 When I went to buy the covers are sized small medium large which size was the 2-6 month? I don’t see anywhere that it gives any additional explanation to the sizing. Thanks! ? Nvm I found it! Had to switch out of the mobile site! 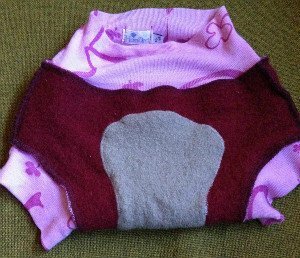 I’m confused about one thing Abbie said – that she used wool over a fitted with a PUL cover (“So far I have used this cover over Kissaluvs fitted, Thirsties fitted, or GroVia kiwi pie inside a Bummis or Thirsties cover or a Kawaii Goodnight Heavy Wetter stuffed with a prefold.”). My understanding is that the wool usually replaces the need for a PUL cover, correct? Are the HumBird covers so thin that they aren’t “bulletproof” at night and need additional layers? I am new to this and would love to try out some less expensive wool, but I was planning to use it as an alternative to PUL, rather than an addition. For some reason when I push like the bottom half of the the like gets cut off and I can’t share it on my facebook. Could it be due to my using a mac? I tried using 2 different browsers. Thanks for all the kind words. You are all so wonderful. I love wool over fitteds. Another good source is sosimplenatural on etsy. I had longies from her and they were awesome and a super good price. She will do custom work too. I’ve purchased from Dawn and LOVE these covers! Not only are they well-made, she actually communicates with her customers! I’ve been working on spreading the word and I’m glad someone with heavy readership is backing her! We will never send spam…PROMISE! Click here to sign up.